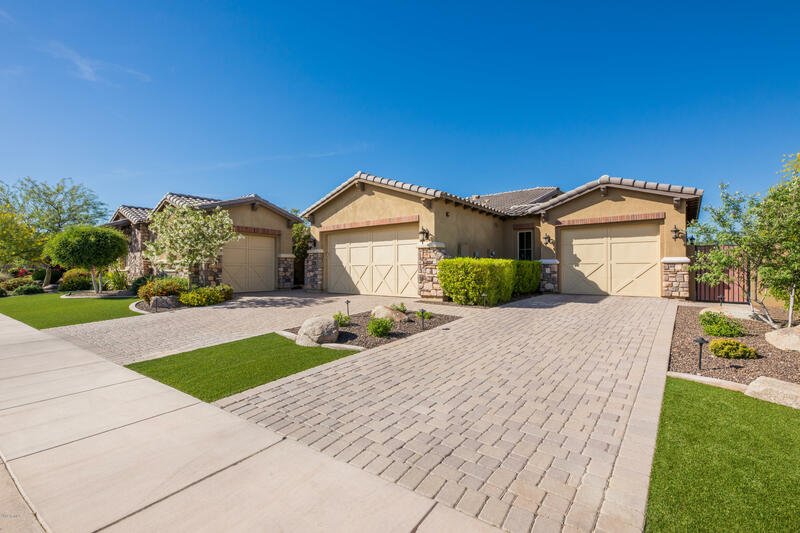 All BLACKSTONE AT VISTANCIA P homes currently listed for sale in Peoria as of 04/23/2019 are shown below. You can change the search criteria at any time by pressing the 'Change Search' button below. "Single Level / 4 Bedroom / 4.5 Bath / 3248 Sq. 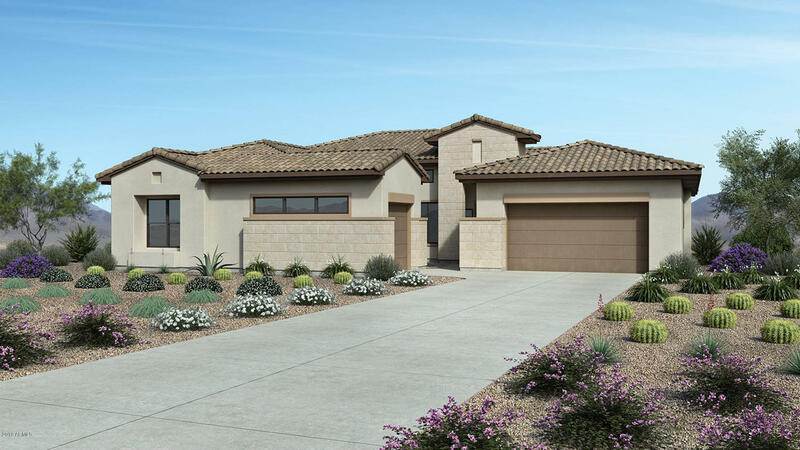 ft. Toll Brothers New Build Home located within the prestigious, Guard Gated Community of Blackstone Country Club with Mountain Views. 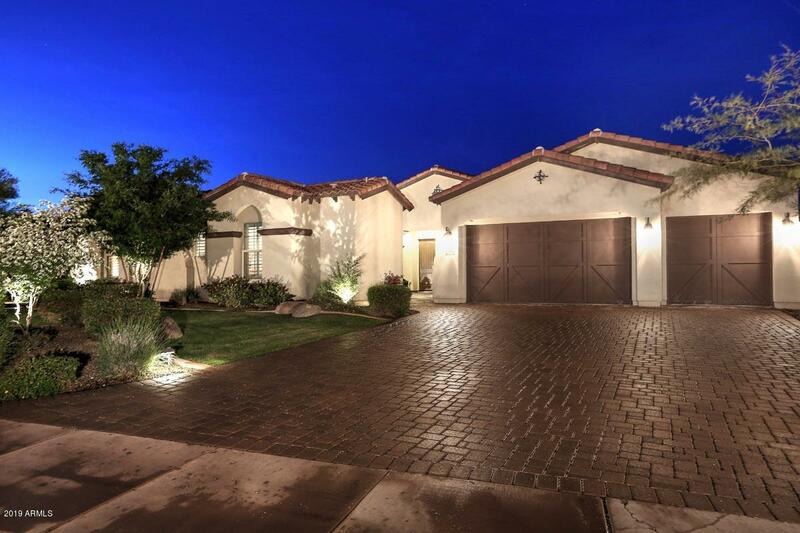 Additional features include 3-Car Split Garage with Storage, Guest Casita and Private Entry Courtyard, Extended Covered Patio with 12' Pocket Sliding Glass Door, and 60'' Modern Fireplace at Great Room with decorative faux beams at ceiling. Approximate availability- Late May 2019." "Magnificent home in Blackstone golf course community. Situated in a cul-de sac lot this highly upgraded home is move in ready. 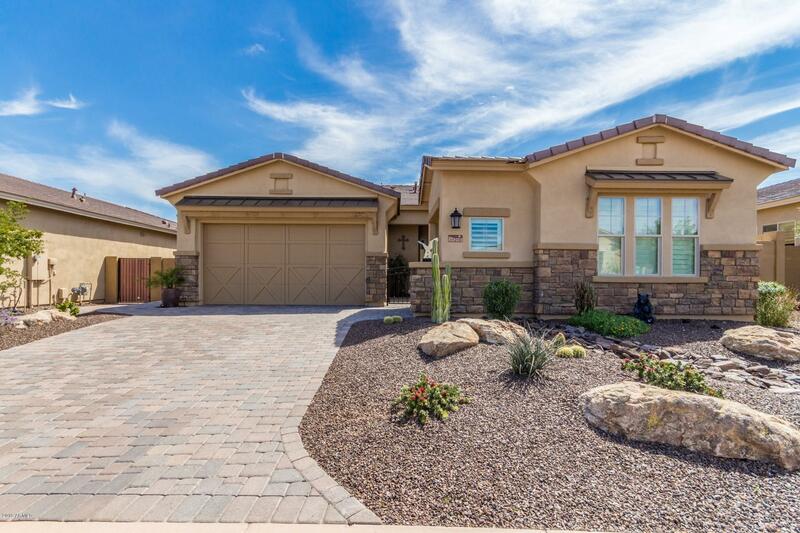 Desert front & back landscaping w/ a private courtyard & Ramada. Enter into 2400 sq feet of living space w/ an open floor plan, gorgeous plank tile wood look floors, 3 spacious bedrooms each w/ en-suite. Plantation shutters throughout. The kitchen is complete w/ rich custom cabinetry, stainless steel appliances, granite counters, pantry & a wine rack. The master retrea"
"Exceptional home located in the guard gated community of Blackstone Country Club. 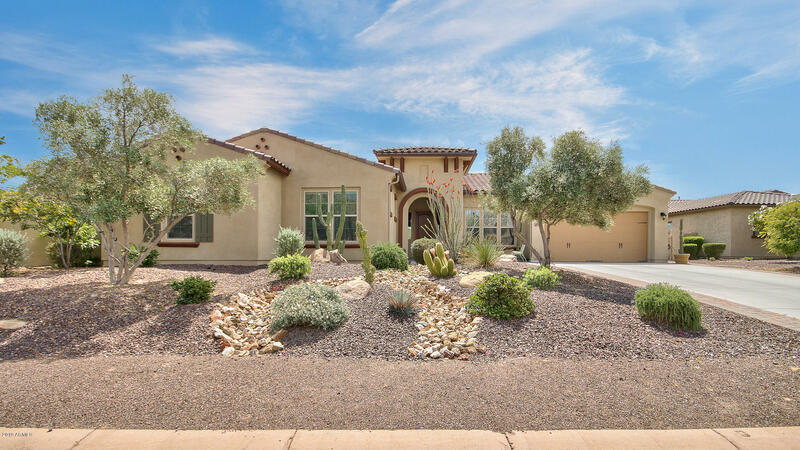 With the mountains as a backdrop you will find pretty desert landscaping leading to a paved courtyard entrance to the home. Step inside to a formal living/dining room space with a retractable wall of glass, tall ceilings and a nice comfortable feel. Perfect den that is equal parts open and private! 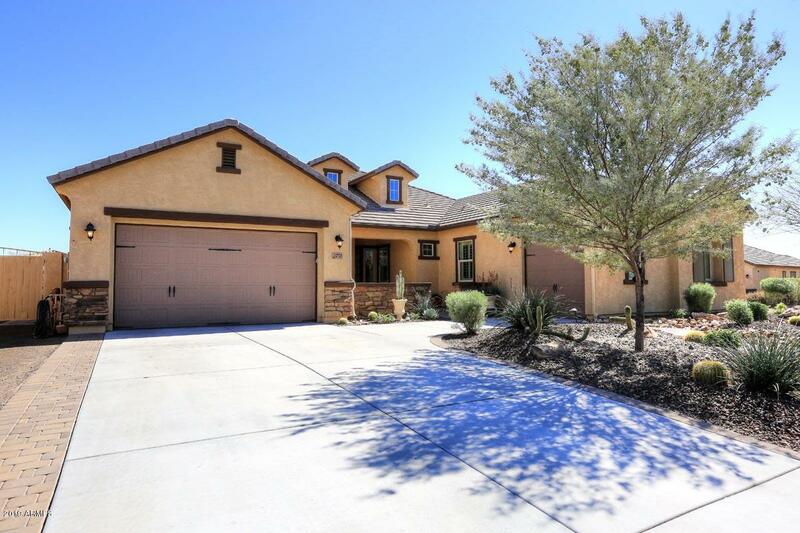 Spectacular kitchen over looking the family room and featuring beautiful designer cabinets that are tiered and have g"
"Popular Yucca Model like brand new in guard gated Blackstone. Open Floor plan with large kitchen opening to great room Many upgrades including GE Monogram SS appliances, granite countertops, large center island, custom stone gas fireplace, Plantation shutters, custom window treatments, 16' glass sliding door in great room, high end light fixtures & ceiling fans. Beautiful master bed/bath suite with walk-in glass enclosed shower, soaking tub and double vanities. Large landscaped backyard with hug"
"WOW.....Price reduced on this beautiful home in Blackstone. 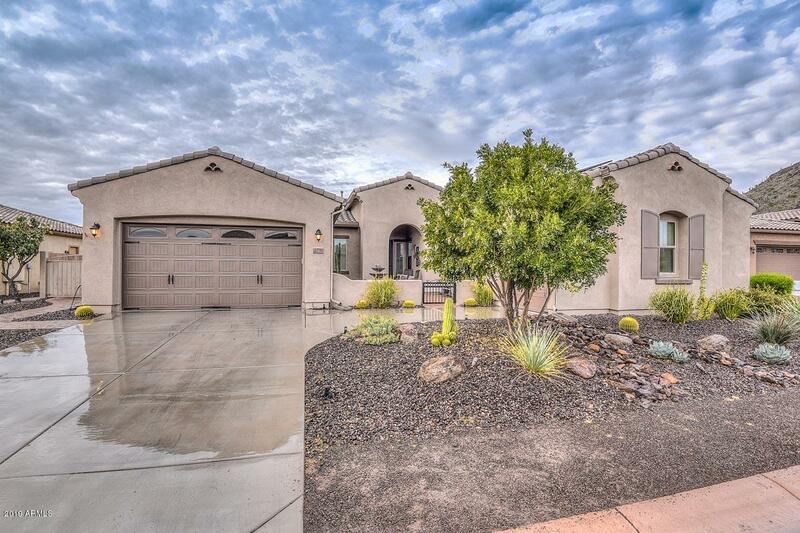 Don't miss your opportunity to own this 4 bedroom, 3 bathroom home with detached casita which offers 1 bedroom and 1 bathroom located on a cul-de-sac lot. The home is professionally landscaped in both the front and backyard. Upon entering the home you will enjoy the spacious living room and dining room plus a separate office/den. The home features upgraded 20'' tile with in-layed marble border and upgraded carpet. 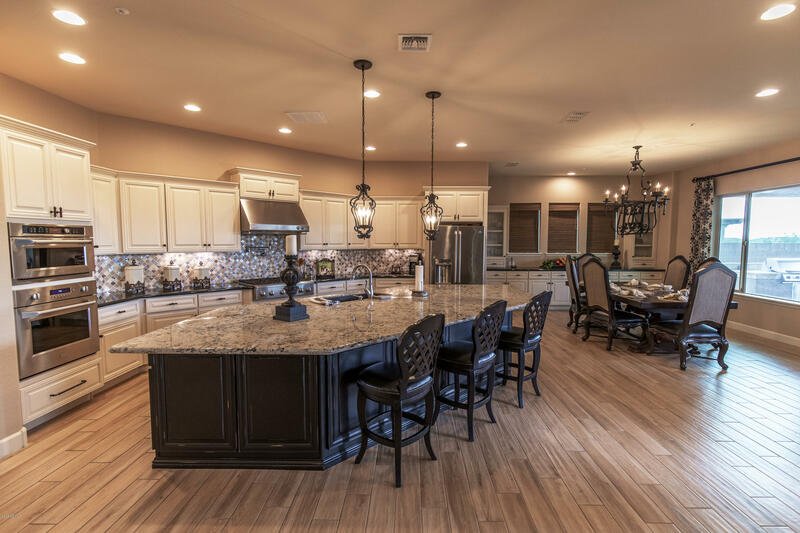 The kitchen featu"
"Country club living at Blackstone at Vistancia. Gorgeous home with mountain views. Designer kitchen features 42'' Knotty Alderwood staggered cabinets, island w/pendant lighting, granite counter-tops, w/black GE Profile cook-top, convection dbl oven, refrigerator, microwave and dishwasher. 20'' tile flooring in through main rooms & baths with carpet in bedrooms. Full length covered patio w/pavers. Over-sized 14736 sqft fully landscaped lot with pavered walking path. 3rd car garage converted to wo"